Storage is an essential part of your living space. All of us store things that aren’t used on a daily basis somewhere in our homes. The garage often ends up collecting many of these things, becoming an unorganized mess over the years. Here are five tips for DIY garage storage to keep the garage manageable. Many people want to use their garage as a workshop but don’t have room for a workbench. The answer is installing a workbench that can be easily folded against the wall when not in use. When you need it as a workspace, you can fold the bench down before bracing it with your chain latch. The tension will keep it intact as you work. For added support, set up two struts underneath. You can use overhead space for additional garage storage. If your garage ceiling has exposed rafters, you might want to set up some plywood sheets or strong material on top of the rafters. Use materials with the proper thickness based on the items are you want to store. As you create this ceiling storage space, make sure you plan a way to easily access it. 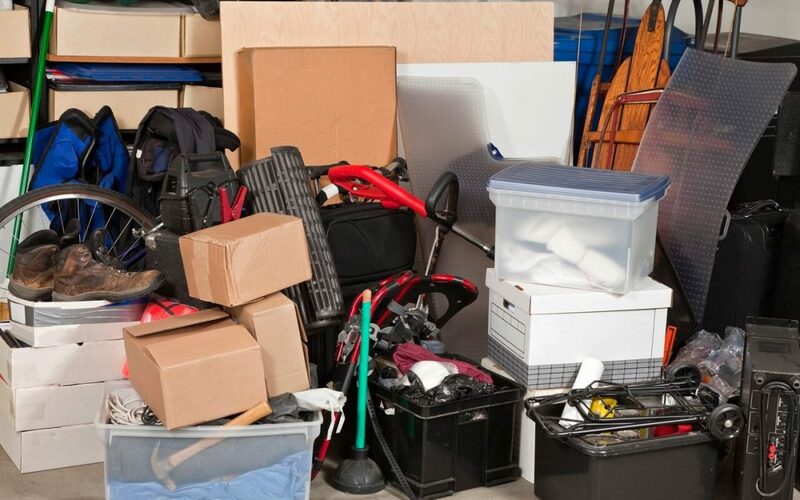 Space needs to be sufficient enough for you and any items you store to pass through. For items that won’t hang easily and need to be contained, install shelves or cabinets along the garage walls. Smaller items should be grouped together by type of item and put in boxes, bins, or cabinets. Labeling these areas will make everything easier to find when you need it. Even an unfinished garage can provide great storage space. The exposed studs often make it easier to set up shelving or hooks. Get everything off the floor by either hanging things on hooks or placing them on shelves. There are simple hook systems available that are ready-made for rakes, shovels, and other tools. Strategically plan where the hooks will go based on what you have to hang. After setting up shelves and other spaces in the garage, you can use clear containers to store things that are lying around. Clear containers let see what you have stored for easy accessibility. These DIY garage storage tips will help you organize your space efficiently and find what you are looking for easily. As a bonus, you may even have room to park your cars! Checkpoint Home Inspections provides home inspection services to Northwest Oregon. Contact us to request an inspection.